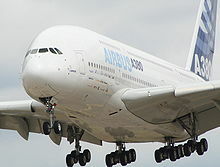 The Farnborough International Airshow is a seven-day international trade fair for the aerospace business which is held in even-numbered years in mid-July at Farnborough Airfield in Hampshire, England. 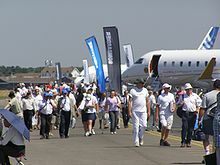 The airshow is organised by Farnborough International Limited, a wholly owned subsidiary of the Society of British Aerospace Companies (SBAC), a British aerospace industry organization, to demonstrate civilian and military aircraft to potential customers and investors. Along with the Paris Air Show, which is held in odd-numbered years, Farnborough is an important event for the aerospace industry, known particularly for the announcement of new developments and orders. As of the 2010 edition, the show takes place in five indoor exhibition halls and an outdoor aircraft static display. Demonstrations flights and a flying display are held each day of the show. On the last two days, the general public are admitted, and some non-commercial items are added to the static and flying displays. Since 1996, the show has had its own official radio station operated by the staff and students of near-by Farnborough College of Technology. In 2004, the show was attended by more than 1,300 exhibitors and 150,000 trade visitors. 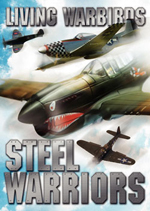 It is held in the same years as the Berlin Air Show (ILA). 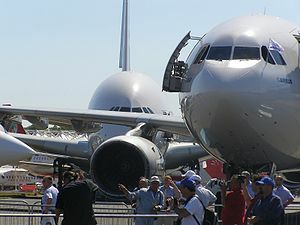 Picture - Aircraft on static display at the 2006 Farnborough show. The Farnborough Airshow has its origins in the annual RAF Airshow at Hendon (1920-1937). On 27 June 1932, the Society of British Aircraft Constructors held an exhibition of 35 aircraft by 16 companies at Hendon as the show-piece for the British aircraft industry. 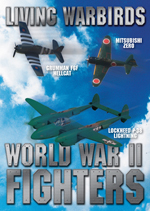 With a break for World War II, the show recommenced at Radlett (the site of Handley Page's airfield) in 1946 and was held there until 1948 when the show moved to its present location of Farnborough, home of the Royal Aircraft Establishment in Hampshire, about 30 miles south west of central London. The headquarters of the UK's principal aerospace firm, BAE Systems, is also in Farnborough. Initially an annual event, Farnborough changed in 1962 to its present biennial format. 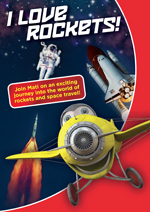 It also expanded from a British event to an international one that welcomed exhibitors from all over the world - with the exception, during the Cold War, of countries behind the Iron Curtain. Picture - Avro Vulcans and Avro 707s fly at the 1953 Farnborough show. 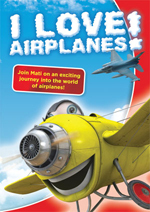 The most recent airshow was the 47th show, which began on 19 July 2010 and ended on 25 July.